Read it all here. A big $10,000 check from Stan to help fund "a permanent opposition-research arm focusing on all Republicans." THAT'S going to help Stan win friends and influence people in the Republican Party for when he makes his next attempt in 2 years. I've already been told that Republicans may not let him caucus with them at the special session. But when he's funding a permanent opposition-research arm focusing on all Republicans, can you really blame them? 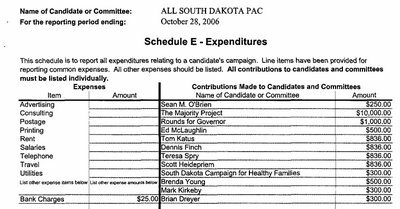 Not surprised he sent money to O'Brien, his judgeship opponent is pro-life. 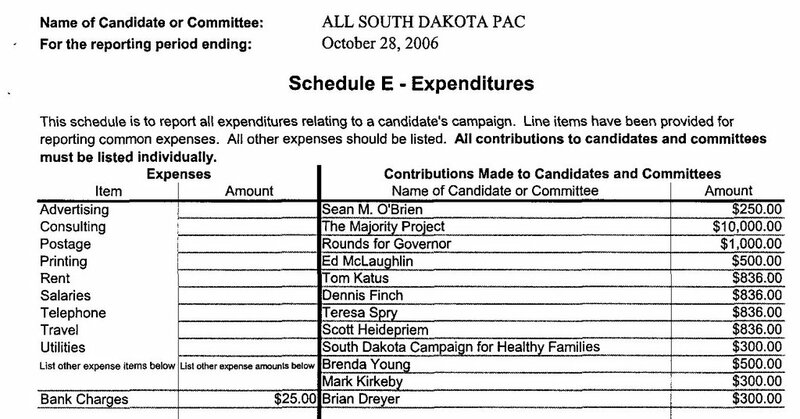 I assume this research fund is digging up dirt on US senate GOP, not state senate members. If I were in the SD Senate, I would vote to NOT let Stan caucus with me. The man is poison. If it's a different majority project, I'd like someone to point it out. If I'm wrong, I'm happy to admit it. But I don't think I am in this case. You're dead wrong about The Majority Project, PP. Chad, if I'm wrong, please enlighten me. I'm only going off of what I'm reading. I haven't seen anything to lead me to believe differently.